When submerged in water, these adorable creatures begin flashing. 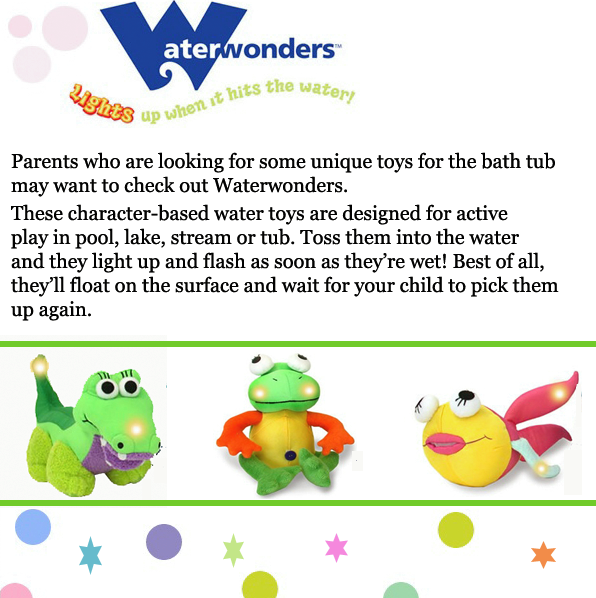 The Waterwonders toys have a special chip that stops the flashing after awhile, so your child will have many hours of play. The mechanism is both water-activated and waterproof. The six characters that are currently available are: Albert the Alligator, Fernando the Frog, Sinbad the Shark, Shelley the Turtle, Otto the Octopus and Felicia the Fish!